It is unlikely you have not heard about the reforms to whistleblower legislation in Australia (more specifically the Treasury Laws Amendment (Enhancing Whistleblower Protections) Bill 2018) which has been widely spoken and written about in the media for some time now. The amendment is due to be approved by the House of Representatives during the first sitting of Federal Parliament in February this year. If you haven’t heard about the proposed amendment, there is still time to get an understanding of it, however, once the legislation is passed, the clock will be ticking and compliance will be mandatory. A shortening of the list of employees able to receive protected disclosures from “all supervisors and managers” to only “senior managers”. The exclusion of most “personal work-related grievances” ie grievances relating to their employment or former employment which may have had an impact on them personally. The removal of due diligences as a complete defence to certain compensation orders. An increase to penalties associated with a breach of the provisions in the legislation. Whistleblowers will not have to disclose their identify to be afforded the protections of the legislation. Further it will be an offence to breach the confidentiality or victimise a Whistleblower; and a Whistleblower can claim compensation if these provisions of the legislation are breached. What is an ‘eligible whistleblower’? a relative or dependent of any of the above categories of persons. Eligible whistleblowers will be able to make protected disclosures about a ‘regulated entity’ which includes corporations; an authorised deposit taking institution; general and life insurers (and their subsidiaries); and, superannuation entities (and their subsidiaries). An alleged offence against any other law of the Commonwealth that is punishable by imprisonment for a period of 12 months or more. The amendment is a step in the right direction and long overdue. It is anticipated that once approved by the House of Representatives, there will be an expectation regulated entities will start taking the steps to implement a compliant whistleblowing regime immediately, with the introduction of a policy as the first step. 1. Look inwards now and ask yourself: Does my organisation have and encourage a reporting culture. Look at your metrics and consider if any low levels of reported misconduct actually represent the true behavioural landscape of the organisation. Misconduct is rarely committed out in the open and it might be that issues such as fear or poor previous experiences are preventing staff from reporting instances of inappropriate behaviour. 2. Review your policies and procedures governing how misconduct is identified and reported. Consider whether your policies are up to date and definitions are consistent with legislation (bullying etc). Road test your grievance policy to make sure that it is clear how misconduct can be reported and how reports of misconduct are managed. If an employee cannot understand how to make a complaint, to whom, or what will happen with it after they make it then they are less likely to make one. 3. Recalibrate and refresh an understanding of your organisation’s values and expectations around behaviour. Now is a good time to review your values and make sure they are current and consistent with the organisation’s goals and aspirations. 4. Start considering what mechanisms you are going to put in place for employees to make protected disclosures. Identify your eligible recipients and organise training about the amendments, the responsibilities of eligible recipients and how to manage protected disclosure, particularly those where the eligible whistleblower wishes to remain anonymous. 5. Draft your whistleblowing policy. Details about how your organisation will protect a whistleblower from victimisation and how all employees associated with the protected disclosure will be treated appropriately and fairly. Register now for our free lunchtime webinar, “Ensuring your organisation is whistleblower-ready” by Jason Clark on February 28th 12.30-1.15. In this webinar, Jason will discuss the legislation and take you through the steps needed by your organisation to ensure they are whistle-blower ready. 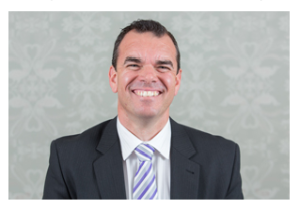 Jason Clark is Worklogic’s Director – Sydney. Jason has extensive experience as a workplace investigator, investigating a range of issues including fraud, bullying, harassment and sexual misconduct. He has also assisted numerous organisations develop strategies to minimise poor behaviour and encourage a positive workplace culture.